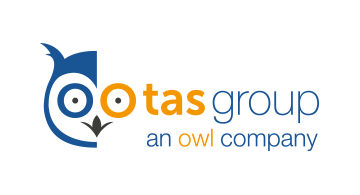 TAS Group is a FinTech market leader, delivering innovative software solutions for cards and payment systems for over 35 years. With a global reach and offices in 7 countries spanning Europe, North and Latin America, customers around the world rely on our advanced technology for secure, flexible and seamless payment solutions. Our mission is to innovate and optimize mission-critical, cloud-based applications, empowering customers to keep pace and thrive in this new digital age, as payment markets rapidly evolve. Our flagship product suite, Cashless 3.0®, offers a one-stop-shop for all your card-related business needs: card issuance, transaction processing, acquiring, and fraud management. We believe in offering cutting-edge software that is cloud-ready, robust, modular and scalable. Our solutions are easy to customize and integrate with other applications through our APIs and we’re happy to work with existing local partners. We work with you to find the right licensing model for your business needs. Whether you opt for on-premise or SaaS, per-user or one-shot pricing, our flexible licensing terms ensure a perfect fit.